VATICAN CITY (CNS) — The death penalty is an inhumane form of punishment that ignores the primacy of mercy in the name of justice, Pope Francis said. 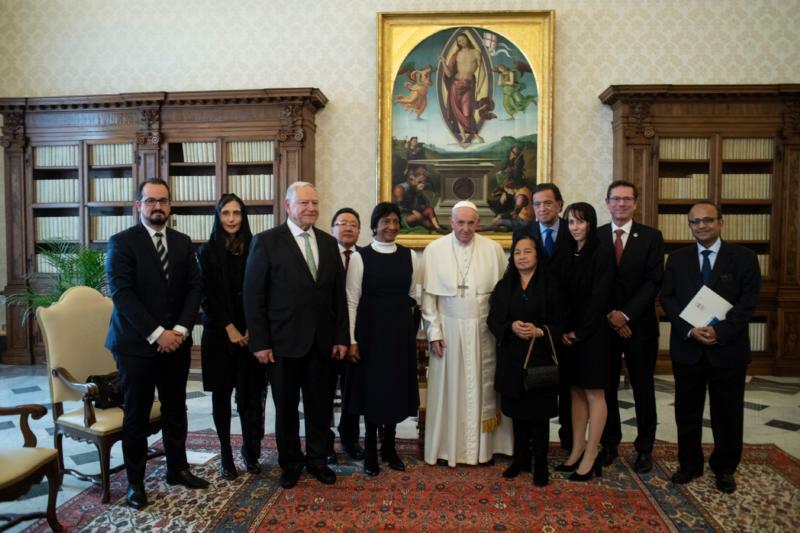 Meeting a delegation from the International Commission against the Death Penalty Dec. 17, the pope set aside his prepared remarks and spoke off the cuff, the Vatican said. “The church could not remain in a neutral position in the face of today’s demands to reaffirm personal dignity,” the pope said. The development of the church’s teaching, he said, is consistent with “defending the dignity of human life” and is a step that all countries should follow. “The suspension of executions and the reduction of offences punishable by death as well as the prohibition of this form of punishment for minors, pregnant women or persons with mental or intellectual disabilities, are minimal targets to which leaders around the world should commit themselves,” he said.